I was talking to an old friend some time ago and he brought up something I had disputed with him. Back before the deposing of the Shah, Iran received their F-14 Tomcats as we all know. The F-16 Fighting Falcons destined for them eventually wound up going to Israel if I am not mistaken. However, my friend stated that Iran did receive 1 F-16B before the weapons deliveries ceased. I seem to recall a fictional novel from the mid 1980s was where the rumor came from. It is true that they never received ANY F-16s at all, correct? Scroll down to "Iran - Imperial Iranian Air Force"
I don't think ANY jets were delivered at all. 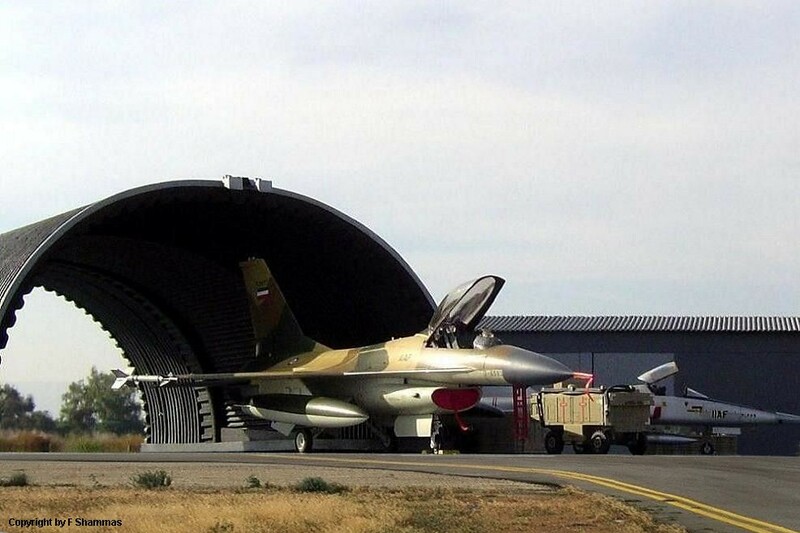 No F-16s were ever delivered to the Iranian Air Force. Delivery of their 160 F-16s was foreseen from the first quarter of 1980 onwards. Since the regime already fell in early 1979, no F-16s were delivered. However it is true that some tooling and maintenance equipment was already in place to start receiving the F-16s. When the order for the F-16s was cancelled, that tooling became available. The Iranians sold this tooling and equipment to Pakistan afterwards. So they received no airframes but did get parts and maintenance equipment? What could they have done with that stuff before it was sold to Pakistan, any kind of beneficial tech info to obtain from it? StolichnayaStrafer wrote: I was talking to an old friend some time ago and he brought up something I had disputed with him. Back before the deposing of the Shah, Iran received their F-14 Tomcats as we all know. The F-16 Fighting Falcons destined for them eventually wound up going to Israel if I am not mistaken. However, my friend stated that Iran did receive 1 F-16B before the weapons deliveries ceased. I seem to recall a fictional novel from the mid 1980s was where the rumor came from. It is true that they never received ANY F-16s at all, correct? Iran imperial air force received 2 F-16 one A & one B before 1980 due to pilots training and tests. 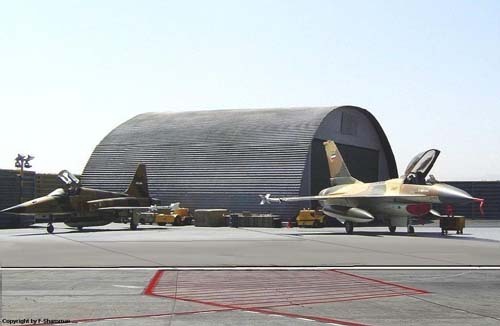 And now one of them is still in operation in mehrabad air base near tehran and one other disassembled for reverse engineering in M-ATF program with Iranian and Russian engineering to building multi role fighter that its result was shafagh 4++ aircraft. In that contract with Russia Russian must sell 400 mig-29 to Iran but they don't their agreement and just sell fewer mig-29. There is some photos that shot in present time that f-16 take a part in Iran war games. I don't know where you got this information, but it is false all together. The only visit of an F-16 to Iran would have been the YF-16 prototype at some airshow in the mid seventies. These didn't stay in-country. Furthermore all initial pilot training on the F-16 was carried out in the US at Hill AFB with the 16th TFTS. This was the case for all countries who ordered the F-16. No F-16s were ever delivered to another country for testing since all testing was done in the US as well. So unless you can provide us with photographic evidence which shows an F-16 on Iranian soil (with identification plate visible please), I stay with my earlier post that this info cannot be counted as viable. Bjorn wrote: I don't know where you got this information, but it is false all together. The only visit of an F-16 to Iran would have been the YF-16 prototype at some airshow in the mid seventies. These didn't stay in-country. Furthermore all initial pilot training on the F-16 was carried out in the US at Hill AFB with the 16th TFTS. This was the case for all countries who ordered the F-16. No F-16s were ever delivered to another country for testing since all testing was done in the US as well. I lived in Iran and saw that one F-16 in mehrabad air base about 2008 and here is other sources like this that Iran received 2 f-16 for test and training why? Because Iran imperial air force sign contract to build 300 f-16 in Iran's factory near Tabas city under license. After that and now Iran received one F-16 block 15 from Venezuela disassembled via Iran"s Boeing 707. I have more pictures but it take times to find them and upload. Last edited by shahab on 30 Jun 2012, 16:46, edited 1 time in total. The site you mention only contains the general info about the F-16 (Persian wiki). The piece dealing with the Iranian purchase just mentions everything we already know. Not that they received any. As far as the Venezuelan purchase. That could well be. We have to seee whether this news is true or that it's just a media stunt from Chavez. Although I tend to believe it could well be true. As far as the picture is concerned. This picture is one of an F-16 model in proposed 1980 era IIAF (not IRIAF) colors. All those pictures (because there is a whole bunch of them on imgbucket) are photo's of maquettes that a modeler made. Not real ones. So doesn't prove anything - on the contrary. As far as Iranians being terrorists. I (nor anyone else for that matter) haven't mentioned that at any time in any of my posts. You on the other hand tend to go that way concerning Americans. This post has nothing to do with that subject. You bring it up because I oppose to your info as not being true. This post just deals about the Iranians ever receiving F-16s or not. Nothing more, nothing less. I just say they never did. I'm sorry and excuse me to say Iranian isn't terrorist.... I just say that because I want every one know . I haven't specific purpose. I'm sorry you're right that picture is model aircraft . I'll try to upload real pictures. In that source mentioned Iran received 2 f-16 even in Persian to English translation! No problem. I'm open to any information about this. 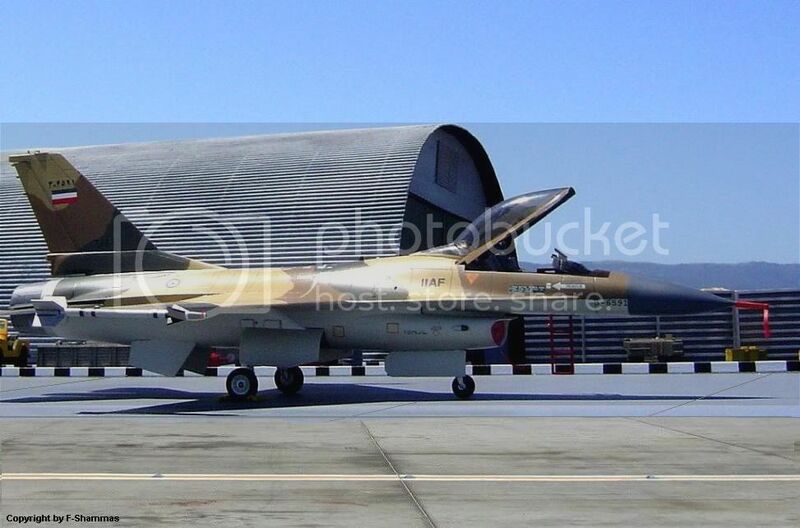 If you can provide a genuine picture of an F-16 on Iranian soil, than I'm very happy to accept that. It would also provide us with new information about this - which we are always after. From what I've read online, it seems as if Hugo Chavez has supplied a F-16 to Iran for threat analysis against Israeli F-16I's. Honestly though, it's comparing apples to oranges. Venezuelan F-16's were block 15's if I'm not mistaken, Israeli Vipers are 50/52+. Models from what I can see?